and send me a note about the information that helped you heal. Imagine a life where no one can intimidate you, where you have an invisible sense of knowing who you are, a life where you are no longer fighting for the right to be alive. Are you willing to change the rules? Are you playing games with people in your life who do not have your best interests at heart? Are you afraid of what you want most? Do you want to know who you really are? Do you want to feel empowered and healed spiritually? Do relationships make you feel needy? 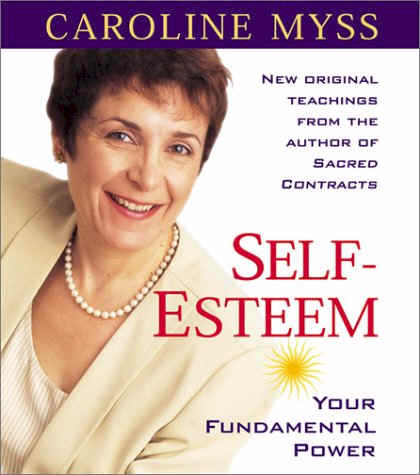 One of the most beautiful spiritual gifts anyone has given me was introducing me to the Caroline Myss Self-Esteem CDs. As normal in my life, the angels appear when I am drifting off my own spiritual path and need information to help me get back on track. During the time when I received these CDs, I was devastated by a question I had asked and an answer I had received. I literally awoke into a new reality. My only thought was: “I’m going to die if I don’t break the chains of needing this person to need me and to approve of me.” I had no idea my self was being born nor that I was going to “meet myself.” Staying unconscious was sure a lot more fun! Caroline seems to agree. While I think staying unconscious is a more relaxed state, it is exciting to grow and turn into the person you are supposed to become. The fact is, at some point, I had stopped living for myself and started to live for the approval of one person. A person who gave me occasional approval, but would also occasionally withhold approval when I needed it most. Until I listened to these CDs, I did not realize what was happening or why I needed a particular person’s approval. Caroline says you were not born for anyone, but yourself. What was even more interesting was how Caroline explained that at times heaven will not allow a person to give us the approval we crave, so we can learn to depend on ourselves or we can be more open to listening to guidance and praying. 1. People with healthy self-esteem heal faster. 2. The old view of self-esteem differs from the new view. 3. Wars are started due to lack of self-esteem. 4. Meditation is not the only answer. 5. People around you won’t celebrate your empowerment. 6. Knowledge is not a spiritual practice. 7. Standing up for yourself can change your entire life. 8. We destroy others to compensate for our own fears. 9. Our greatest fears are being alone and abandoned and how we smother people. Before I listened to these CDs, I was a butterfly, but a butterfly with cords attached to other’s approval. I could only fly once they approved of me. Now, I am going to fly on my own and follow my heart. I don’t want to be tied down by my fear, nor do I want to live a mediocre life. Caroline’s teachings are healing, beautiful gifts for your soul. Heal your life, heal your friendships, start giving love instead of always asking for love. 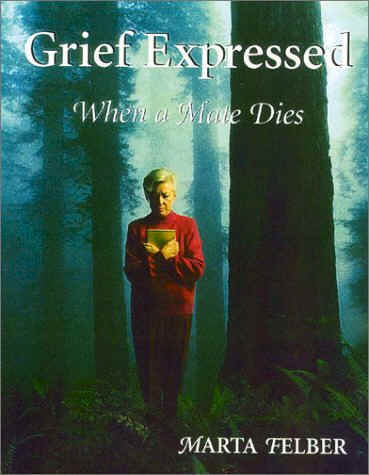 An Empowering, healing, spiritually electrifying journey. 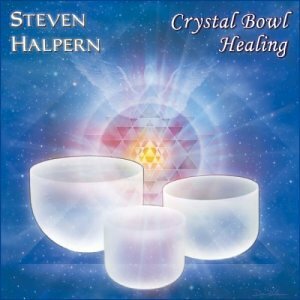 If you want to be primarily responsible for your spiritual growth and understand how to create the empowered self, these CDs will help you in your search for understanding self-esteem on the spiritual level. Mesmerizing ringing tones mingle with deep earth vibrations. A voice echoes in a underground cave and appears and disappears. The vibrations all seem to be felt in my head as the ringing sounds capture my full attention. This seems to be designed so you are paying full attention at the start and then the music sinks you into a deep relaxed state where you may even fall asleep. What this actually feels like is your mind riding waves of energy into a state of complete soul harmony. If you are looking for an unscented cream to treat stiffness, injuries, muscle pain or even bruises and sprains, this cream provides a number of natural ingredients that aid the healing of tendons, cartilage and bones. Swelling and Redness may also be reduced so as to provide a greater freedom of movement in a shorter period of time. Arnica montana - This is the #1 natural remedy for muscles, pain, bruises, strains and lacerations. Aconitum napellus - Helps acute symptoms and injuries. Belladonna - Helps with nerve pain. Calendula - Promotes rapid healing. Witch Hazel - Remedy for bruising, cuts and scrapes. St. Johns' Wort - helpful for injury to nerves. Ruta graveolens - heals tendons, cartilage and bones. Comfrey - Helps to heal injuries to tendons, connective tissue and joints. While this is not an overly "cooling" cream, it does have a slightly refreshing feel, but not the intense sensation of deep heating creams. This is more of a treatment cream to speed healing time and can be used with a support bandage or alone. Can be used to help: Carpal Tunnel Syndrome, Tendonitis, Whiplash, Shoulder Pain, Sprains, and Back Pain. Dr. Nicholas Perricone is a pioneer in reversing skin damage and has finally solved one of the mysteries of my life. When I lived with my grandmother, she cooked salmon on a weekly basis and we always ate tuna fish sandwiches on a regular basis. Then, I got married and my husband insisted that I stop cooking fish because he disliked it. That was when my skin changed. For years, I've wondered about the effects of diet on our skin and The Acne Prescription reveals the need for advanced care and a healthy dose of antioxidants and Omega 3 supplements. He explains how skin disorders are caused by a systemic inflammatory disease and explains the details of sebaceous glands and how corneum cells block pores. I learned about oxidative stress, foods to avoid, foods to get into my diet fast and why I should look for creams containing DMAE. After reading this book, I went to the grocery store and found some Wild Alaskan Salmon which was on sale for 97 cents a pound. I baked the entire fish and tried to follow the three day diet in which you eat mostly salmon. The diet in this book is filled with tasty choices from the sea. If you enjoy scallops, salmon, crab, tuna and shrimp, you will love this diet. I also purchased the pomegranate juice as recommended and you can normally find it in the produce section of your local grocery store. Other moments of enlightenment occurred while reading about how chocolate can cause your skin to break out, but it is more the sugar than the actual cocoa butter. So, I did not notice any changes in my skin after eating a Hershey's Low Carb bar and then this book even made more sense. It is the sugar, not the cocoa. Another great product he recommends is Pycnogenol which can be rather expensive, but seems to work very well. Overall, this book emphasizes the need for antioxidants, essential fatty acids and a healthy lifestyle. Avoiding stress is essential and a series of yoga postures are recommended. So, this all sounds very gourmet, but the ingredients are relatively easy to find and the directions are uncomplicated. The recipes were all created by executive chef Bernard Guillas. The glossary is excellent and if you read one book on how to care for your skin from the inside out, this should be it. This book is more about lifestyle change than a quick solution. I have only read one other book that is on this level and that is The Metabolic Plan. With those two books in hand, you will have a wealth of information and also understand why lifestyle changes will improve your health. Nicholas Perricone, M.D. 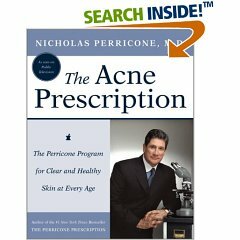 has included so many solutions to the problem of Acne that I can only say I'll be reading this book over and over again. Even if you just suffer from occasional breakouts this book will give you the information you need to encourage a clear, glowing complexion. 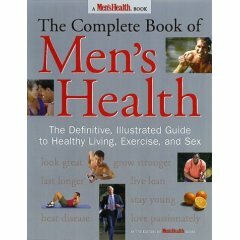 Many of the ideas in this book will also help you live a more healthy life. I definitely want to read all of Dr. Perricone's books. He really is an expert on antiaging and skincare. Over the years I've read most of Dr. Perricone's amazing books. He really is ahead of his time and "The Wrinkle Cure" was his first book so I thought I'd read it too. While some of the information in this book appears in his more recent books it is still helpful and provides excellent information on skin rejuvenation at the most basic level. If you have crow's feet, upper lip lines, dark under-eye shadows, jowls, sagging skin, enlarged pores, acne scars or dull skin then this tiny book can show you the way to radiant youthful skin. This book is still relevant almost ten years after it was first published. Dr. Perricone sees wrinkled skin as a disease you can fight and gives you the knowledge you need to combat aging skin. "The Wrinkle Cure" also explains the biology behind Dr. Perricone's beliefs. He explains how wrinkles actually form and explains the topic of free radicals especially well. It is helpful to also know that skin creams with collagen in them are ineffective because the collagen molecule is too large to penetrate the skin. This book discusses the importance of alpha lipoic acid, DMAE, hyaluronic acid, Coenzyme Q 10 and Pycnogenol. It also talks about how vitamin C ester boosts collegen production. Along the way you will also discover the secret of Cleopatra's milk baths and why sugar accelerates the aging process. Unlike most doctors Dr. Perricone is in favor of daily supplements. If you really want to see improvements in your skin's health then I can recommend this book highly. I've been following Dr. Perricone's advice for years and have noticed my skin is clearer, wrinkle-free and more radiant. Yoga Zone Flexibility and Stress Release – A yoga workout which includes an interesting and healing “chakra” moment. Giving Love Away by Robert Shahidi – A healing CD to calm your mind and heal your heart. One of the most beautiful “spoken word” CDs I’ve ever listened to. 1 Giant Leap – World Music that seems to heal me each time I listen due to the universal appeal of the selections. 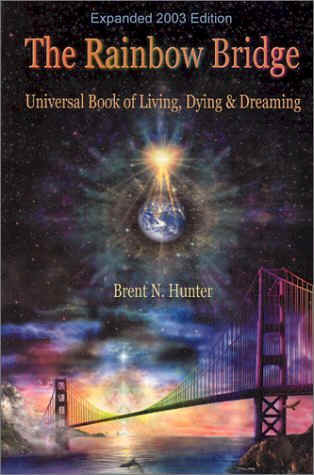 New Earth Records CD's for relaxation, meditation, massage and other therapeutic experiences. Induce rest and reduce anxiety. not only for yourself, but for others.